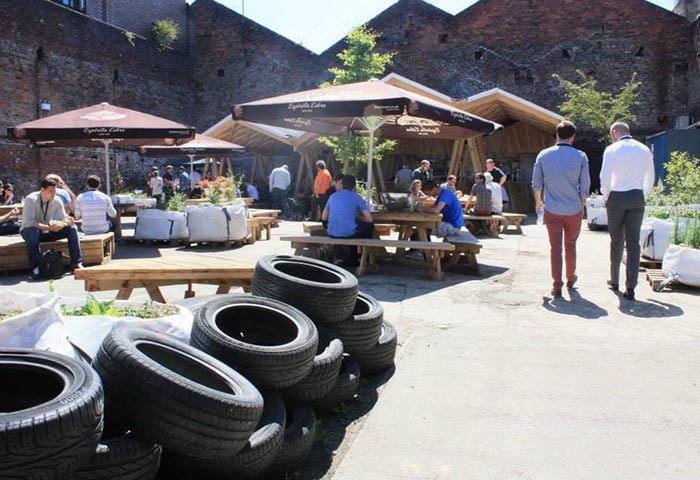 During Getinthothis‘ brief hiatus, Liverpool has welcomed a new arts and event space to the Baltic Triangle this month when Constellations opened its doors. The 6000 square-foot urban garden and creative space is on Greenland Street and looks set to continue the flourishing Baltic arts scene. Constellations is the brainchild of two former Liverpool students, Nick Baskerville and Becky Pope, who have combined their talents into reinventing a concrete shell into a space designed to host art, music, business and grassroots events. The vast space is split into four segments; a ‘hidden garden’ called Constellations, The 88 which is home to a studio space, the Observatory which is a daytime canteen and transforms into a night-time bar plus a large central events space. This is the realisation of all of our youthful dreams and never-ending hardwork, said Nick. It has been a labour of love. We always knew at some point we’d have a space of our own where we could programme events that fitted with our ethos. Becky added: Constellations offers us the freedom to create events we might not be able to explore otherwise. In the first two years of our business we let our imagination lead the way and now we can turn some of these into realities. By day, Constellations‘ organisers aim to provide a space to support business workers to develop ideas while also providing a cafe to work from. The 88 studio will provide a space for creatives to make, print and create work while the events space is a blank canvas for arts organisations. The 88 is set to open towards the end of summer with The Observatory following suit early Autumn. Constellations‘ expanding team consists of life-long Liverpudlians, city university students and a vast network of promoters, musicians and designers but, as Nick explains, it is their shared enthusiasm of expanding the Baltic‘s creative spirit which has made Constellations come this far. The connection is the building and recognising that taking on a project of this scale means combining our skills because individually it would be overwhelming, Nick reflected. 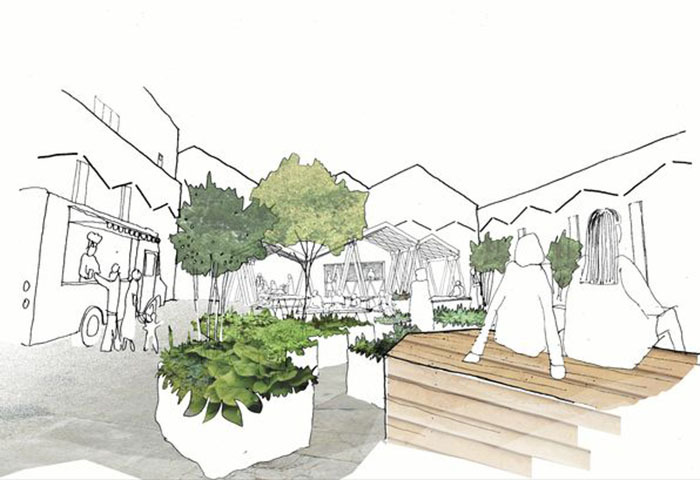 “We’re a determined crew and have all found our individual ways to the Baltic, sharing the enthusiasm for the potential of the neighbourhood and recognising that if you want to see things happen then you pretty much need to just get on with it. 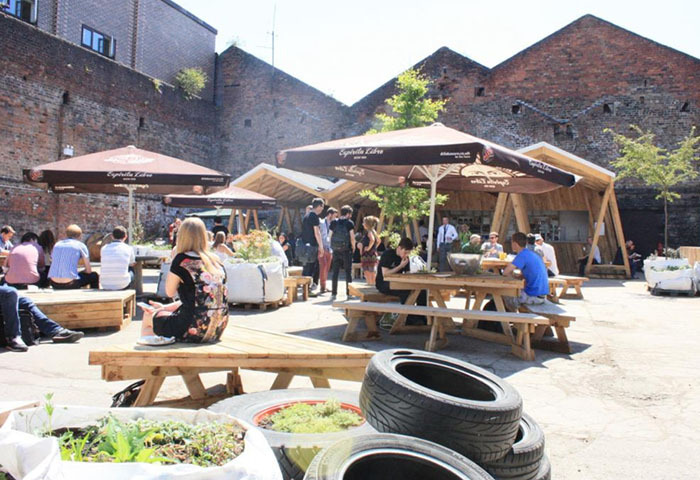 Constellations will host Liverpool food champions Can Cook in their outside BBQ kitchen each weekend which takes the shape of a converted glass sided shipping container truck. Becky adds: The kitchen is a serious beast! Our aim is to offer fresh canteen style good grub, take out lunch boxes and sandwich bags. She added: For us its not altogether about setting us apart – its about working together with the other offers in the area to make the Baltic a success. We’ve worked hard for the last three years to build the foundations for the new venue and particularly over the last eight months we have formed some great relationships which is ultimately what has got us so far so quickly. From architects to the forklift training school, everyone has lent a hand to move the project forward – partly that might be the huge amounts of free cake we’ve been handing out along the way! The team are now three weeks in and have already been getting their hands dirty with big events, successfully hosting Sound City Digital as part of the International Festival of Business on July 17. Away from the day-time affair, Constellations joins a growing number of venues in the area, including Baltic Social, Mad Hatters Brewery Tap, 24 Kitchen Street and Camp & Furnace, to host a variety of music and entertainment events. And it is this sense of a burgeoning community which Nick cites as a key reason to why the Constellations project has gotten off the ground. However, Nick is keeping his cards close to his chest for the time being, he added: “We’re looking for diversity in the music programming. Working with both established local promoters, new up and coming events and looking to other cities for exchanges and collaborations. Our approach is good solid events focused on establishing a reputation for interesting programming. For more details visit Constellations here.